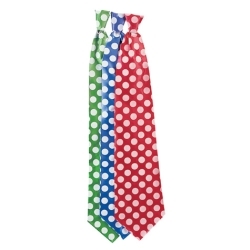 Dotted Long Tie. Made out of satin-like material with elastic neckband. Length: 34" long. Colors available are blue, green, or red.